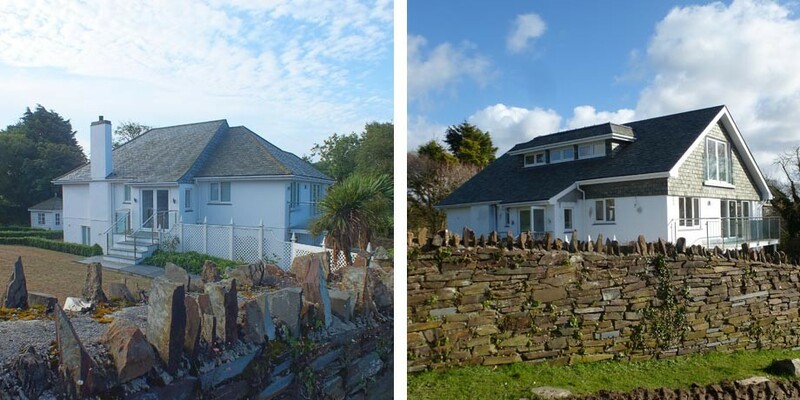 A disjointed property in a desirable location, Porthilly Bridge did not meet the functional requirements of our client who wanted to extend and remodel the house to suit their family life and improve the interaction with the outside spaces. 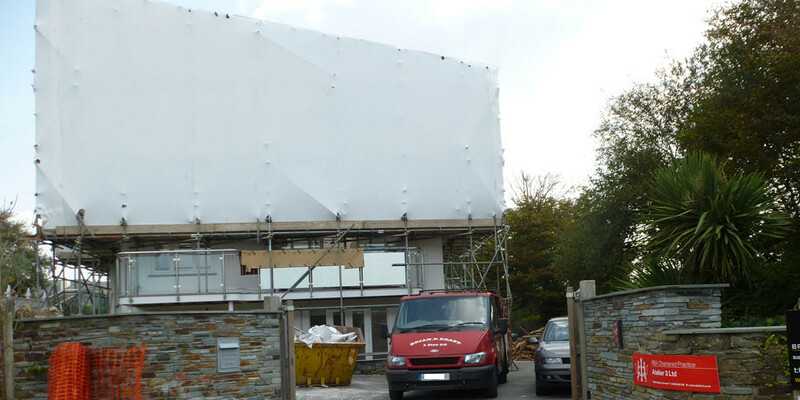 Planning permission was gained at the first attempt to add a second storey, plus a rear ground floor extension. 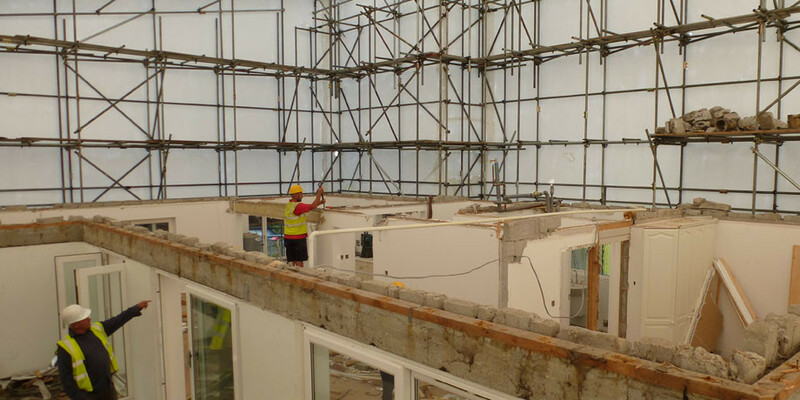 We prepared a detailed Building Regulations submission, Tender and Construction Packages with a full design team. 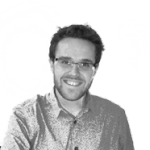 Atelier 3 is providing on site support and Contract Administration. 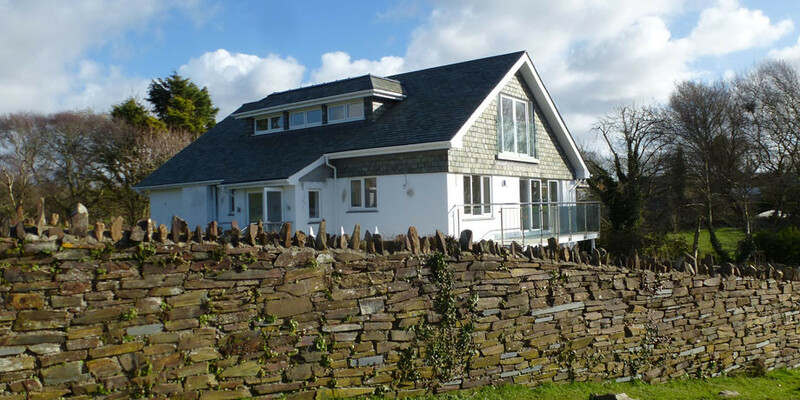 The remodelled property includes a master bedroom suite, large open plan living kitchen and family room enjoying views over the Camel Estuary. 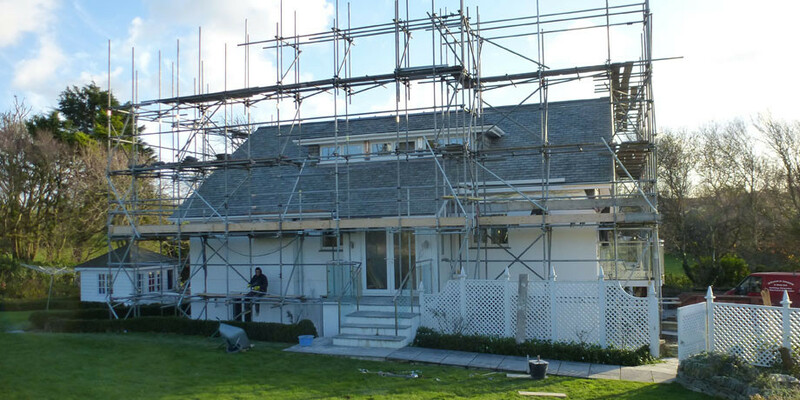 Construction work commenced in September 2014 and to avoid delays due to weather the house is enclosed under a scaffold roof to ensure a April 2015 completion.